As one of the leading companies operating in the area of infection control, Belimed has been developing, producing and marketing innovative cleaning, disinfection, and sterilization systems in the sectors of healthcare, pharmaceutical industry and laboratories for over 40 years now. 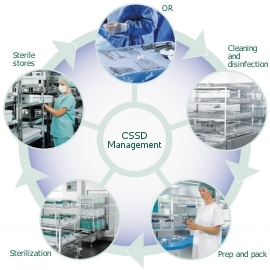 We are committed to providing innovative system solutions for the Central Sterile Supply Department, increasing safety for both, patient and staff. By offering the newest in technology and comprehensive service and support, we ensure reliability throughout the entire life cycle of your equipment.